Our service provides a house washing service that is much more than just a “power wash”,..Our service does a more detailed cleaning than a basic power wash can provide. We use the proper detergents along with the knowledge of how to use them. 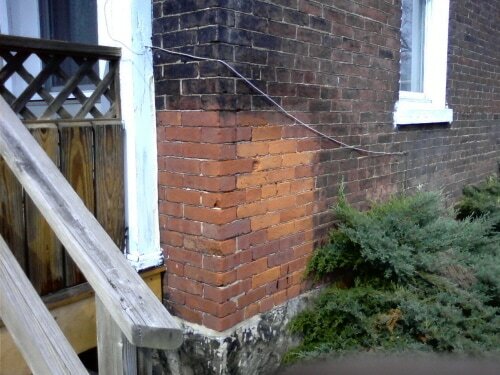 High pressure washing is NOT used on your siding or around your windows, so no seals are compromised. *A house wash is from, and includes the gutters down to the ground. *Roofs and decks are not part of a house wash. They are priced separately. Please call: (814)644-1396 or 1-800-236-0322 to schedule an evaluation. 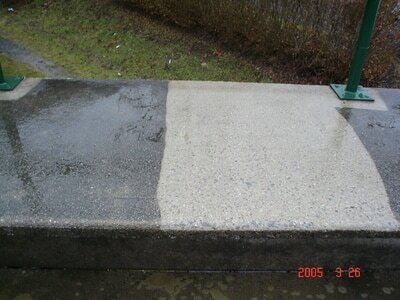 We can clean concrete to give it a fresh appearance. Whether it be a sidewalk or a patio, etc,..Raystown Pressure Washing has the the tools and knowledge to clean concrete to a fresh even appearance. 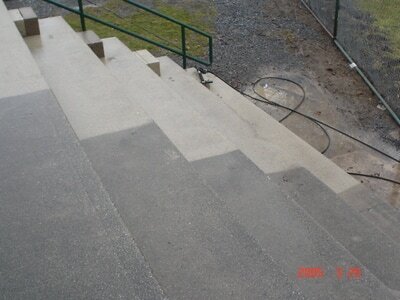 A concrete cleaning when done properly will last longer than a typical power wash.
We have also done numerous brick cleanings over the years. Raystown Pressure Washing provides deck cleaning of pressure treated decks.. High pressure is NOT used or recommended for this type work. Our method uses proper cleaners and neutralizers to do the job properly. Brick Pavers are typically plagued with moss and lichen growth between the joints of the pavers. Just like roofs, the more moss there is the faster it grows, and the faster it grows the more there is. The best way to handle this issue is to keep it killed off and not allowing it to grow in so thick. Having the pavers treated once a year is the best way to handle this. This has proven to keep the growth at bay and keeps the pavers looking good. Not only does it kill the growth,..but it also brightens the pavers to there more natural color. We have done many of these jobs. If you have an interest in this service, please call for an evaluation.